It takes Tara years to break away from the tenacious bonds of her upbringing and find a place for herself in the world. 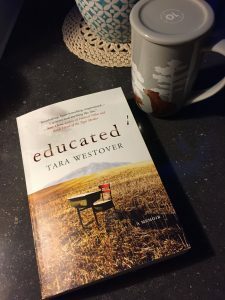 Educated by Tara Westover is a worthy read. That is so wise! It reminds me of another book, “We’ve had 100 years of psychotherapy and the world is getting worse” (yeah, I get the irony given our career choices) In a conversation format the authors talk about the concept that we are like acorns, whatever else may go on in our lives if we are an acorn we will be an oak tree…. Cool! Another book to add to my list 🙂 It really is so long, haha! Thanks Gurlie for your comment and feedback!